What do Celine Dion and chicken feet have in common? They can both be found at KTV. 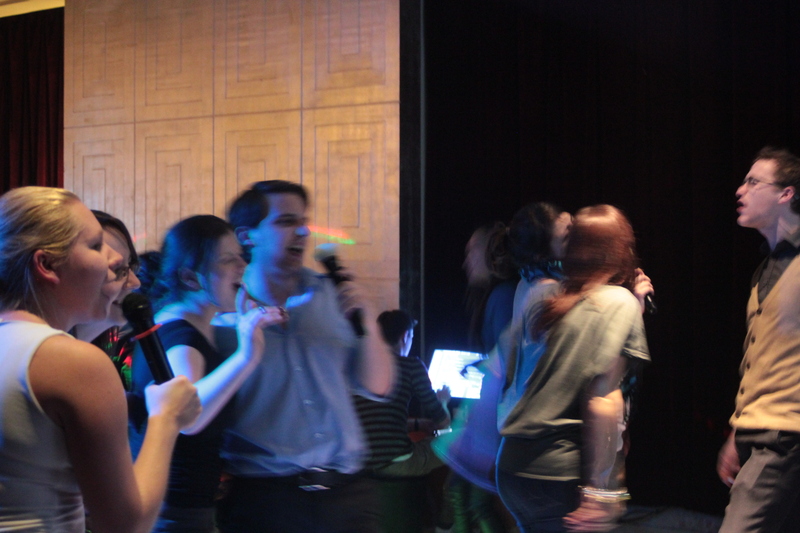 KTV stands for Karaoke TV and it is huge in China, as it is in the rest of far Asia. KTV buildings are everywhere and they are often called things like ‘Party World’, ‘Real Love’, ‘Rock World’ etc etc. 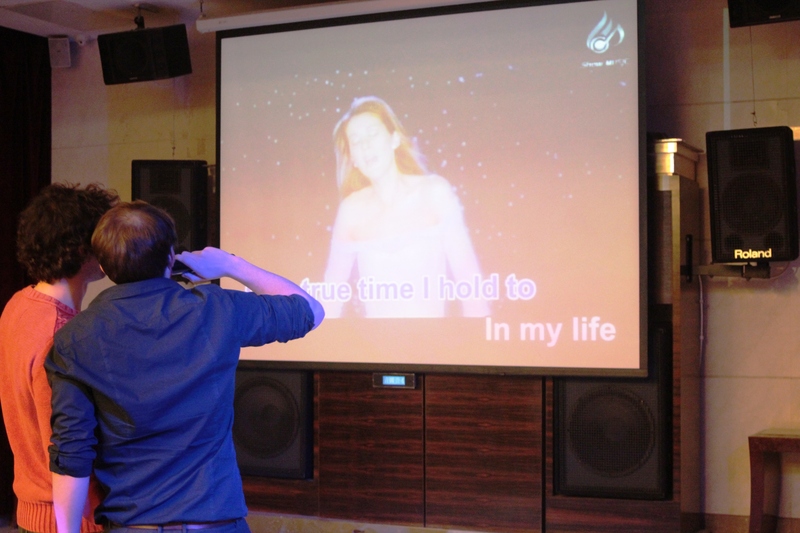 What usually happens is that a group of friends rent a room in a KTV, equipped with a big screen TV, microphones and a computer for choosing songs. Each KTV will have hundreds of rooms of different sizes. 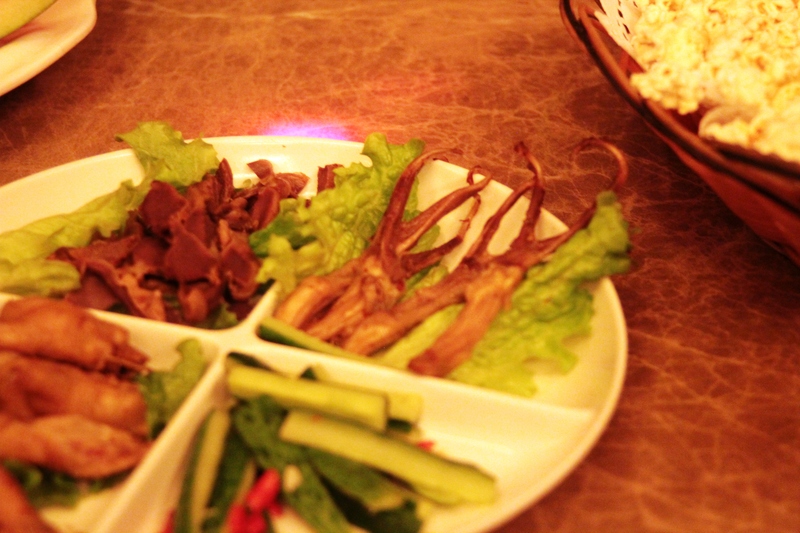 People buy drinks and the snacks keep coming all night long and include plenty of chicken feet (eaten here as a crunchy snack just like we eat crisps), popcorn and beautiful fruit platters. Then people choose a song they like and sing it by themselves, or more often with a couple of others, while the others watch you make a fool of yourself. It’s so much fun! Again, like restaurants, KTVs are another place for friends to meet outside of their tiny flats and out their parents’ watchful eyes. Our immensely cheesy playlist featured Celine Dion, Savage Garden and Bonnie Tyler. I also had a go at a Romanian song that was very popular in Europe a few years ago (yes, it does go numa numa iei). 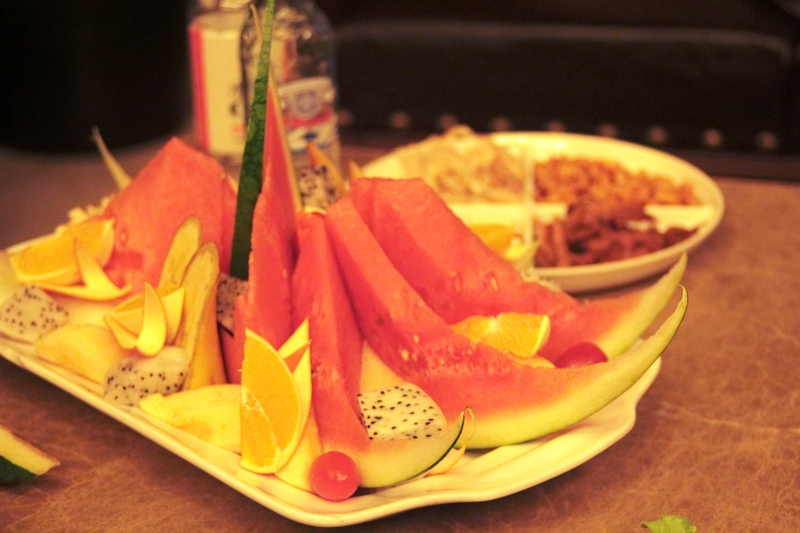 So whoever is planning to come and visit us, brace yourself for a trip to KTV! The bedsheets saga continues. Our new lovely breathable and fluffy sheets are colouring us brown. While I was thinking I still had a wonderful Zimbabwean suntan, I was actually being coloured by our ‘made in China’ sheets. The sheets are now in the washing machine and the water looks like Coke. We have had a few little hiccups with our flat. We had some pipes move out of their place and had a mini flood in the bathroom. On further investigation we found out that the pipes are made of very flimsy plastic, something like what drinking straws are made of, and so they sometimes move out of their place, break or explode under pressure. China is growing so fast and so many buildings need to go up in such a short time, that there just aren’t enough skilled workmen. So they hire people, who don’t know what they are doing, which makes for poor quality housing. We finally have Internet connection at our house, it has already been fixed once and is going to be fixed again today. We need to buy another router in addition to the two we already have in order to get wireless Internet that works on more than one device. At the moment the Internet is mega slow and so the VPN connection is pretty rubbish too. 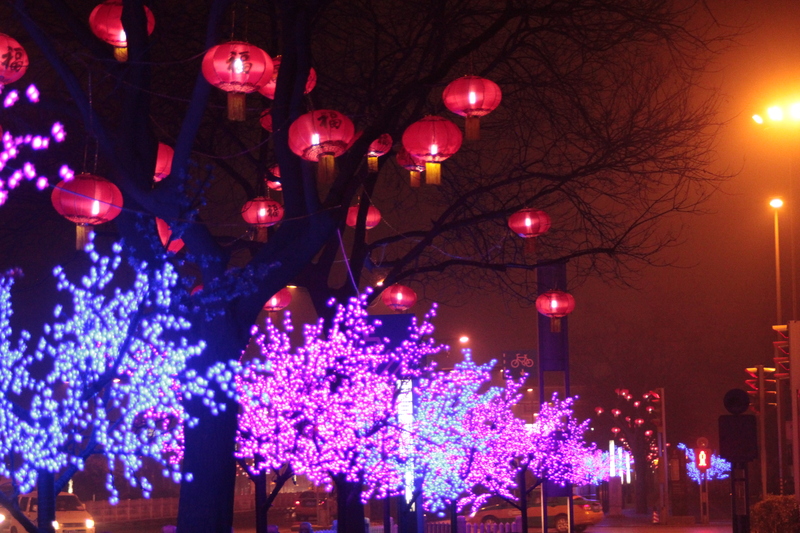 Spring Festival celebrations are getting closer. The town is now lit up and we can see kids practicing their songs and dances on the streets at night. Not knowing Chinese is still very frustrating. The dry cleaner lost my shirt and I could do or say nothing about it, the taxi driver got us lost twice and we could again say nothing, the Internet dude made some weird connection and again we could say nothing. I hope our Chinese lessons are starting soon. I have a day off today, David has no days off this week as his school is very busy at the moment. So I am going to get some breakfast outside and do some grocery shopping. Greetings from the organised chaos called China. Until the next time. Posted in China, PlacesBookmark the permalink.